Prediabetes, which is also referred to as metabolic syndrome, is not a passive condition over which you have no control. In most cases, a combination of diet, exercise and lifestyle modifications can help to turn your health around. Focus your meals around whole foods: non-starchy vegetables, legumes, intact whole grains, fish, poultry, lean meat, fresh fruit and healthy fats (such as olive oil, avocados, omega-3s, nuts and seeds). These foods will help keep your blood sugar balanced, which, over time will also help to balance your hunger hormones – ghrelin and leptin[i] [ii]. Eating a whole foods diet will wean your taste buds off of hyper-processed foods and help you calibrate your appetite towards the foods your body requires most from moment-to-moment and day-to-day. Start by vastly reducing your intake of all sugar-sweetened foods. A moderate amount of fresh fruit is okay; however, canned and dry fruit, fruit preserves and fruit juice are best avoided if you have a blood sugar disorder. In addition, start to cut back on alcohol and refined carbohydrate foods such as white bread, pastries, and most cold breakfast cereals. Fried foods, hydrogenated fats and processed meats are also on the ‘avoid’ list. These foods contribute to a blood sugar rollercoaster with insulin resistance as its terminus station. Finally, be aware that starchy vegetables such as potatoes and corn should be viewed more as healthy starches and are best consumed as an alternative to bread or rice – not in addition to them. Spices are a low sugar way to create flavourful meals – they are also highly nourishing. Many spices have anti-inflammatory, antioxidant and/or blood sugar balancing properties and may even help increase insulin sensitivity [iii]. Some notoriously healthy spices to include are cinnamon, turmeric, cloves, black pepper, fenugreek and garlic. Be generous with spices in your everyday meals for the greatest potential benefit. There is a lot of conflicting information on the efficacy of supplements for diabetes but that doesn’t mean they are all without value. Fenugreek is a traditional remedy that has been shown to help balance blood sugar levels and reduce A1C over time [iv]. 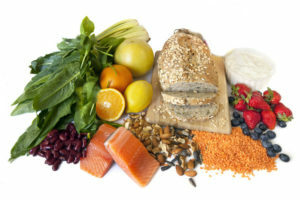 Vitamin D may also help you maintain healthy blood sugar levels, although the precise dose has not been determined [v]. As with all supplements, talk to your healthcare practitioner to determine which might be right for you. Regular physical activity can improve blood sugar control, lower unhealthy cholesterol levels and blood pressure, improve quality of life and reduce your risk for developing type-2 diabetes [vi]. Aim for at least 30 minutes of moderate to intense physical activity (brisk walking, jogging, cycling etc. ), 5 days a week and be sure to include some strength training as well. When you’re stressed, the fight-or-flight response raises your blood sugar in attempt to get more energy into your cells. It’s an adaptive response designed to provide the energy required to ward off a perceived threat. Stress can also increase your risk for type-2 diabetes indirectly by contributing to excess weight and obesity [vii]. 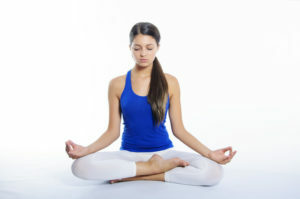 Stress reduction is all about self care: try yoga, deep breathing exercises, journaling, meditation, hot Epsom salt baths, massages or aromatherapy. Sometimes, eating habits are the result of something far deeper – your emotional state. Working with a professional may be helpful for you to relinquish emotional ties to food and help you set positive strategies for following the first six recommendations. Cognitive behavioral therapy (CBT), hypnotherapy, self-directed goal setting, group therapy and a buddy system (where you hold each other accountable) are also great ways to keep you on track with your healthy living goals. * Caring for those with diabetes is a personal mission for us at myWholeLife. Our founder, Darlene, lost her father to the disease. This journey is what inspired her to make integrative nutrition advice for overcoming blood sugar disorders available and affordable to all.